Our aim is to supply the leisure industry with products and consumables in a reliable, timely and cost effective manner. 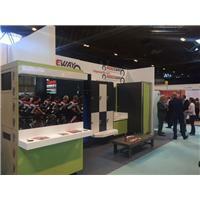 Our sister company, Ridgeway Furniture, have supplied changing room furniture to the leisure industry for 25 years, providing us with an unrivalled knowledge base. Our warehouse is based in Leighton Buzzard, Bedfordshire. We aim to deliver the majority of our products within 2-3 working days. Lead-times for items that are customised or made-to-order are generally longer. We work closely with a small group of suppliers to deliver exact specifications to suit our customers' requirements. If an item you require is not listed here, please contact us and we will do our very best to source the item for you.